Ver-tech Lab’s Salt Shield® was formulated to protect your vehicle from the damaging effects of Road Salts, Deicers and Dust Suppressants. Salt Shield offers two layers of defense against corrosive road salt chemicals. Salt Shield is a detergent that will clean and neutralize road salts and deicers from the chassis and wiring on the underside of your vehicle. Salt Shield removes sodium, calcium, and magnesium chloride deicer salts. Salt Shield is effective even when winter road salts are mixed with carriers like cheese brine and sugar beet juice. By removing and neutralizing the road salts, road salt damage to your is prevented. Salt Shield includes chemicals reactive on exposed iron and steel surfaces to provide a barrier film. This protective film prevents sodium, calcium, and magnesium chlorides from corroding iron and steel surfaces. Salt Shield’s protective film grows every time you apply it, increasing the amount of protection from those damaging road salts. Don’t be fooled into thinking that you need Salt Shield only in the winter. Did you know that the main ingredient in dust suppressants is CALCIUM CHLORIDE?? Dust suppressants are used around construction sites to keep the dust down – and in particular – highway construction sites for safety reasons. Dust suppressants are also sprayed on many rural roads to ensure that dust does not harm the crops. Salt Shield is not just for the undercarriage of your vehicle. Because it was originally formulated as a low pH detergent for washing cars and trucks, Salt Shield can be easily integrated into your vehicles’ regular cleaning process. Salt Shield can be used as the first step of a two-step cleaning process or as brush lubricant for friction car washes. Salt Shield provides 360 degree and 365 day protection against corrosion. Salt Shield is easy to use and safe on the undercarriage of your vehicle. The best way to apply Salt Shield is to use Ver-tech Labs’ Foam Maxx undercarriage foamer. 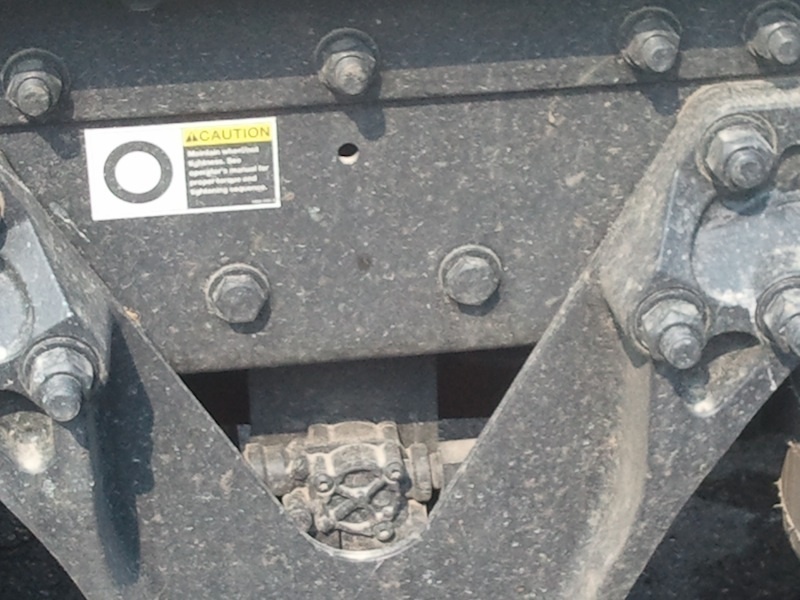 Simply drive over the undercarriage foamer. It is not necessary to rinse Salt Shield off the underside of the vehicle. Salt Shield should be applied to the vehicle with low pressure, less than 200 psi. There are any number of “me too” salt remover products on the market, but none like Salt Shield. Use Salt Shield all year long for 365 days of protection. Talk to your Ver-tech Labs chemical representative or order online today: Shop Online. 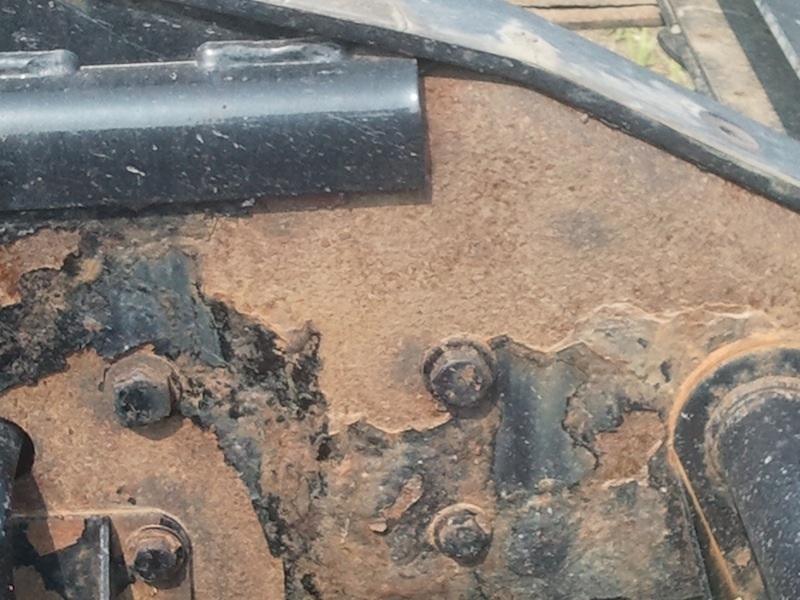 How does vehicle corrosion occur? Vehicles driven on roads treated with deicers and dust suppressants, as well as coastal areas are all exposed to salts. These salts attract moisture from the air and are then dissolved. The dissolved salts increase water conductivity, making an electrolyte solution. Much in the same way an electrolyte in a battery facilitates the movement of electrons from one electrode to another, immersing any metal in an electrolyte solution speeds up the movement of electrons and the process of corrosion. Humid conditions such as parking a car in a warm garage after driving through treated roads or natural climate conditions create optimal conditions for corrosion to occur. Repeated exposure to salt will accelerate corrosion on compromised vehicle surfaces (existing rust spots and imperfections in the clear coat). Without Salt Shield – salt crystals will attack preformed rust spots and create new rust spots. With Salt Shield – the salt crystals will attack the sacrificial coating created by Salt Shield.